The Kul Sharif Mosque (another book calls it the Qol Sharif Mosque). 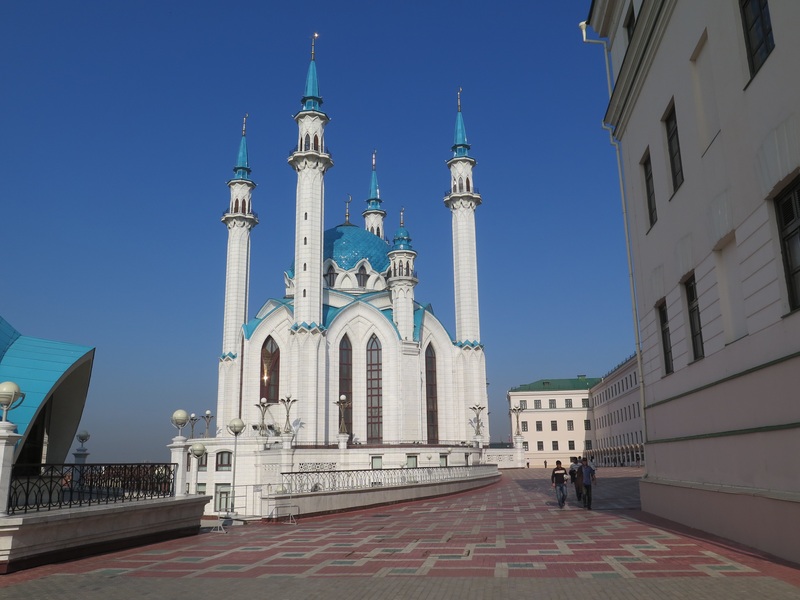 This mosque is a recent addition, only finished in 2005 (on the date when Kazan celebrated its 1000th anniversary). The mosque is beautiful from all angles, and when we came upon it unexpectedly I would be momentarily stunned.